Double-O Salon was established in 2007 by co-owners Carly Montelongo and Guenevere McHugh. After working in many types of salons over the years, we both felt that we could bring together our combined experience to create the perfect place for customers to enjoy. 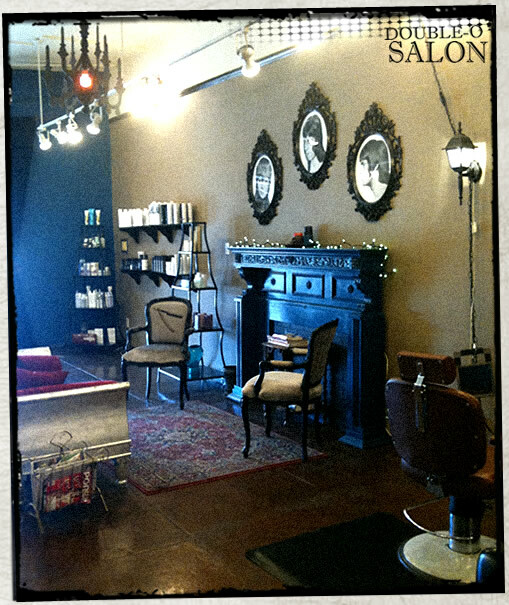 Our mission was to create a salon environment that was beautiful and hip without the attitude. We feel that our mission has come to fruition here in our salon! We have brought together a diverse and talented group of hairdressers with years and years of experience. Our stylists bring forth their experience by listening to the clients needs and delivering nothing less than professional results. We do all hair services and are fluent in all hair types. We stay current in today’s styles by continued education and a love for style. We are designers, artists and all over fun people to spend time with. We love what we do and do what we love and it shows! Our salon is open 7days a week with late appointment times available for your convenience. We do accept walk-in clients but suggest booking an appointment to insure time slot availability. So, if you love beautiful, hip-places with good music, creative and talented people that are fun to be around… then you just found your NEW salon! For reviews of others who tried us, please, check us out on Yelp! You’ll be glad you did. (ALL PRICES ARE SUBJECT TO CHANGE DUE TO LENGTH, THICKNESS, AMOUNT OF PRODUCT USED AND TIME IT TAKES TO ACHIEVE PROFESIONAL RESULTS).